Looking for Super Fast Tax Returns? We understand that in the past receiving your tax refund in a quick and efficient manner has been a problem. Therefore, the agents at Ezy Tax online work hard to ensure that your personal tax return comes quickly and with the refund you were hoping it would contain. With a trusted client base across the country, Ezy Tax Online is an easy, reliable and cheaper service for organizing your online tax return in Australia. Our team are highly qualified, and well versed in what it means to lodge a tax return online. Promising and fast tax return and the highest standards of customer service throughout your consultation, it’s no surprise that thousands of students and workers trust us for online tax return. Here at Ezy Tax Online, we understand many students and workers do not have overly complicated personal tax obligations. We promise to deliver a cheaper, faster tax return, without the hassle of driving to tax agents to answer questions that could be answered over the internet. It’s far simpler with us – our system will ask a series of questions, typical of the usual face to face interview, gathering all of the information necessary to lodge your tax return. Whether you are a student looking for cheap tax returns to maximise your refund, or a homeowner searching for the best return on your investment, Ezy Tax Online have you covered with a comprehensive service. Handle your personal tax obligations, or receive your refund, as efficiently as possible with the experts in the industry. If you would like to arrange the services of Ezy Tax Online and receive a super fast tax return, feel free to get in contact with our friendly team of staff. We are committed to providing our valued clients with an exceptional standard of service and support, and will be happy to help you out with any enquiries you have, or get you started with our team of professional tax accountants. Submit an enquiry form on our contact page and we will get back to you with all the information you require. Don’t know what to do? We give you the solutions. Our optimised online Interview covers more than face-to-face service. Not just online interview, you have email conversation with us. Our accountants double review your tax return to ensure accuracy. According to ATO, most tax payers use registrered a tax agent. Every tax payer should be entitled to independent check and advice from tax payer’s side. Why Trust Ezy Tax Online to Lodge a Tax Return Online? We charge a fixed fee of $58 to lodge a tax return online. This includes an unlimited number of payment summaries, deductions, dividends and share sales. Not just cheap but prepared by tax experts. We are a registered tax agent and a public accountant. We consider every aspect of Australian taxation law to maximum your tax refund or minimise your tax payable from the information provided. Our fee is fixed regardless of the number or an amount of your income and deduction items. Many tax agents charge extra fees for additional items and then eventually total fee has been high. Everything is done in our secured Ezy Tax Online Portal. As software download is NOT necessary, every OS and Browser is supported. The process takes 10-15 minutes to complete – follow the easy instructions, submit and just wait for your refund. There really is no simpler way for online tax return in Australia. You don’t have to pay at the submission by your choice. You can pay our fee from your refund. Credit card payment is also available. We promise to work quickly. Our preparation time is up to 24 hours, and 91% of our clients have received their money back within 7-12 business days (subject to ATO). Your returns are prepared and reviewed by registered tax agents and qualified accountants. Unlike other services, NO one month trained seasonal staff prepare your tax returns. We are also tax specialists for 457 visa and student visa holders. Many tax agents are not familiar with the situations and visas of foreign people living in Australia. We are also experts for non-Australian tax payers. We clean up your outstanding tax returns. You are never too late to lodge overdue or late tax returns. It is recommended that you lodge outstanding tax returns asap to avoid ATO fines. Answer Yes or No. If Yes, simply fill in or attach as many details as possible. If not sure, please don’t worry. This is NOT a DIY tax return and we check ATO tax agent portal and work with you. Our tax accountants prepare your tax return. If we need additional information, we contact you within 24 hours. If not, you receive a full copy of tax return and invoice by an email within 24 hours. You can review to make sure you don’t miss or forget something. If you need any correction, you can email back to us. Our qualified tax experts review your return to ensure accuracy. Your tax return is lodged with ATO by ATO approved software. 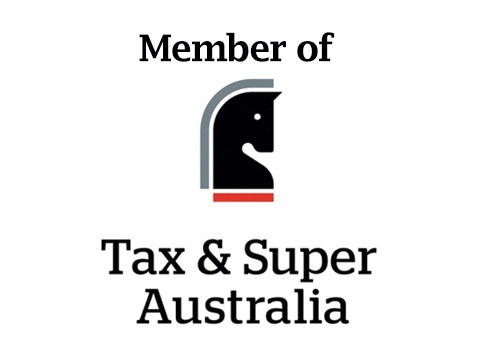 If you need amendment after lodgement, we lodge your amendment tax return without any fees. Just wait for your refund coming back. You usually receive your refund and notice of assessment in 7-12 business days. If you are leaving or left Australia permanently before 30th June 2019 and you will have no longer receive Australian income (other than interest or dividend), you can lodge your tax return before July. If you have any bank interest or dividend, you need to advice you are leaving or left Australia to your financial institution. You will no longer be an Australian resident for tax purposes. You will no longer receive Australian income other than interest or dividends. This powerful new free Tax App developed Ezy Tax Solutions gives you key financial and tax information, tools, features and news anytime. Our app is available for both iOS and Android.